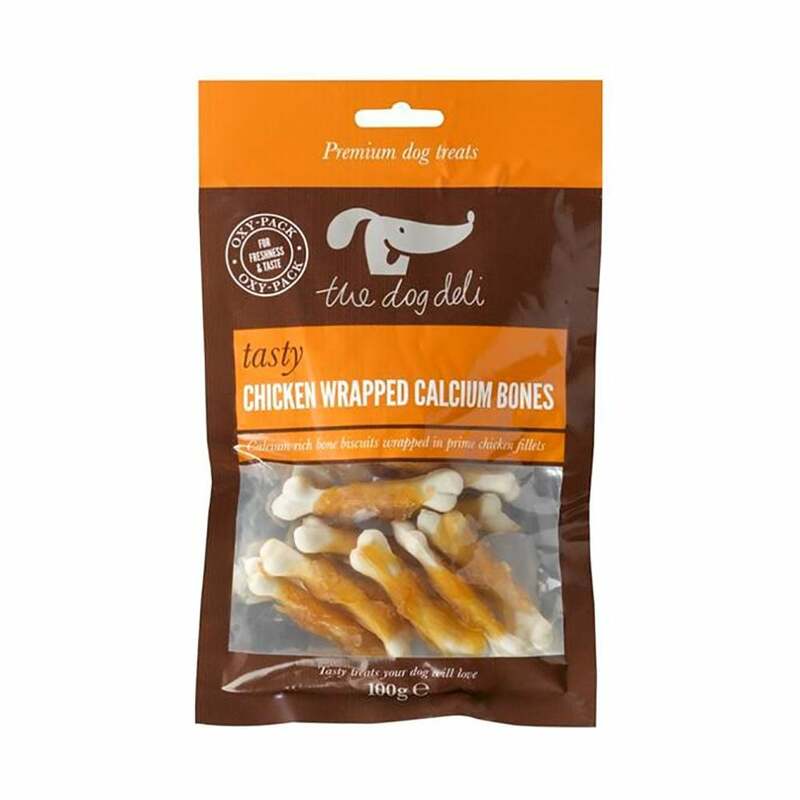 The Dog Deli Chicken Wrapped Calcium Bones are a great way to reward good behaviour from your dog during training or just as a treat. These corn starch and soyabean protein bones with calcium lactate are wrapped in chicken making them high in protein and low in fat. Vacuum sealed in an oxygen free environment for freshness. Please note: These treats are not suitable for puppies under 4 months old.